Leslie Fiorenzo is Director of Employee Assistance Center, West Michigan’s oldest provider of employee assistance program services. She has over 30 years of experience as a human resources professional working in the automotive, distribution, and packaging industries. 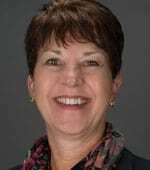 She has taught human resources, business, and marketing courses as an adjunct faculty member at the D.W. Maine School of Business, Davenport University since 2005. Leslie earned her Master’s Degree in Human Resource Development from Western Michigan University and is a certified DiSC™ trainer. Leslie first became familiar with Conflict Savvy! in October 2013 and realized this was a proven solution she could bring business struggling with workplace conflict and mistrust and is a certified facilitator of the program.